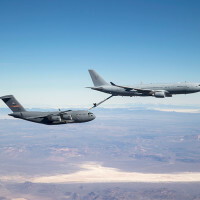 The first air-to-air refueling from a Royal Australian Air Force KC-30A Multi Role Tanker Transport to a C-17A Globemaster III occurred Feb. 10. 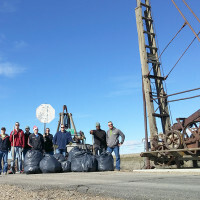 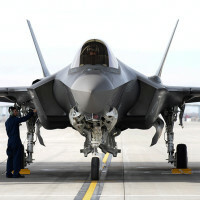 The five-hour sortie was conducted by members of the RAAF's Air Warfare Centre Aircraft Research and Development Unit, 86 Wing and the 418th Flight Test Squadron. 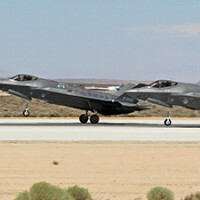 Six F-35As arrived at Mountain Home AFB, Idaho, Feb. 8, 2016, from Edwards AFB, Calif., to begin an operational deployment test at a nearby range complex. 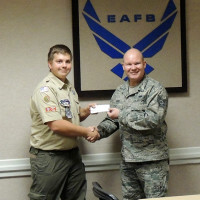 The test will help develop the concept of operations as well as validate the aircraft's capability to deploy. 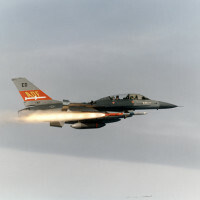 Feb 23, 1989 — A two-seat F-16B Air Defense Fighter test aircraft successfully launched an AIM-7 Sparrow missile that destroyed a target drone off the California coast. 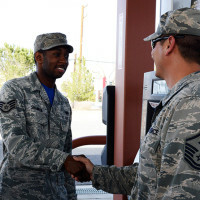 From June to December of 2015, more than 150 service members stationed at Edwards were deployed. 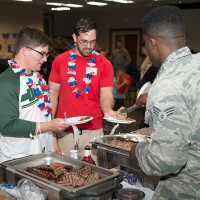 On Feb. 17, at the Airman and Family Readiness Center, those Airmen were thanked for their service at a Deployment Welcome Home event.